ABB has announced it is investing more than $30 million in a new state-of-the-art manufacturing unit, under construction at the company’s complex in Ludvika, Sweden. The new unit will boost production and expand the capacity and range of its high-voltage dry bushings offering. The market for high-voltage bushings, essential components in electrical networks, has been growing due to a rise in global demand for electricity and increasing numbers of long-range electrical transmission links, which are used to transmit energy from renewable sources and require higher voltages. Bushings are hollow cone-shaped mostly ceramic devices that allow electrical conductors to pass safely through partitions, such as walls or tanks, and insulate the conductor and its electrical field, from it. Insulation of the electrical conductor and other safety factors become more important as voltages increase. While bushings usually use oil as an insulating material, the “dry” bushings, which will be produced at the new factory, use epoxy instead, making them safer and more environmentally-friendly. 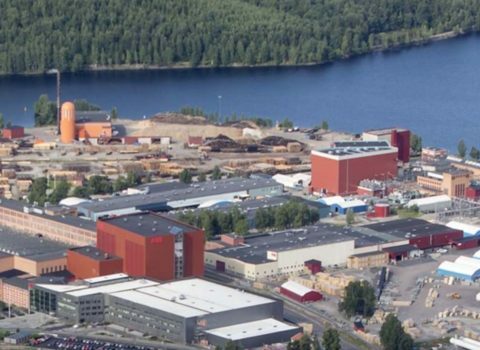 Building the production unit within the company’s complex in Ludvika, one of ABB’s largest and most technologically advanced manufacturing areas. This will allow the materials to be tested and assembled under the highest standards of production, safety and efficiency.